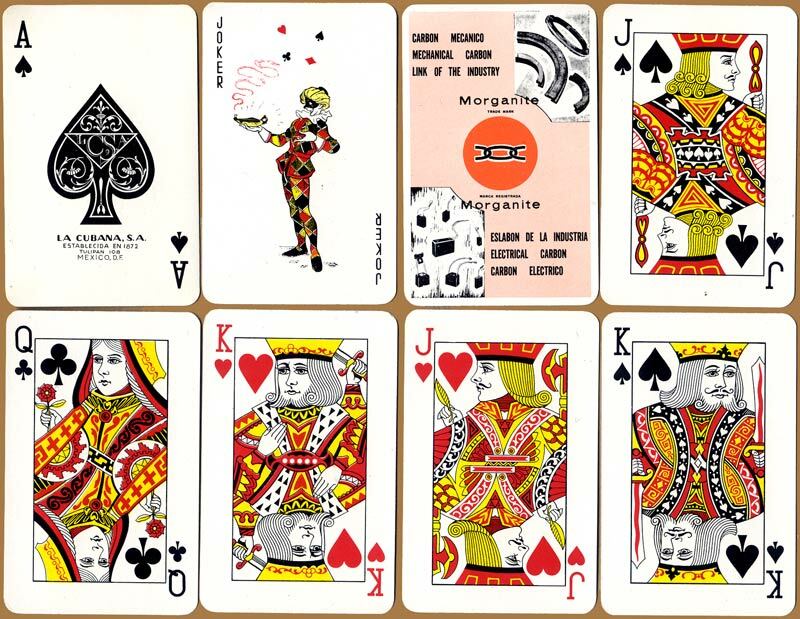 Above: pack of Bridge advertising playing cards for Morganite Carbon, manufactured by La Cubana, S.A., Tulipan 108, Mexico 4, D.F., c.1980s. 52 cards + 2 Jokers in Box. The standard courts are printed in red/black/yellow only, with blue omitted presumably for economy. The ace of spades contains the monogram LCSA. 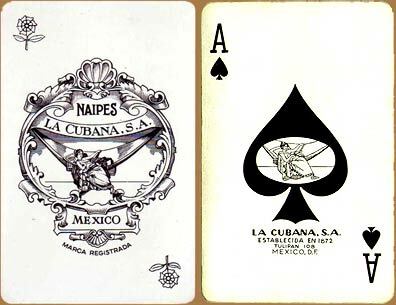 Earlier editions of standard Anglo-American type playing cards published by La Cubana S.A., either for Bridge, Poker or advertising, were printed with four-colour courts and the black suit symbols were more ornamental. Also, different versions of the ace of spades and Joker were used (left) depicting a Cuban girl in a hammock.